As mentioned recently, we’re reinforcing our commitment to bringing Tech Trees up to speed with the game as it stands today. In 9.17.1, this includes smoothing the progression to the top tiers of the German, Japanese, and American lines in particular, plus tackling some balance issues and introducing several all-new tanks. To make its overall structure more consistent, the German Tech Tree will get two completely new heavies: the VK100.01P (Tier VIII) and Mäuschen (Tier IX). Massive and heavily-armoured, these two will combine powerful guns with decent protection and poor mobility. Gameplay-wise, they’ll be more similar to the Maus than its current predecessors: the VK 45.02 (P) Ausf. A and VK 45.02 (P) Ausf. B. That’s why the Maus will be placed after the Mäuschen. It’ll also receive a shorter reload time, better gun handling, and thickеr frontal armor. At the same time, the VK 45.02 (P) Ausf. A and VK 45.02 (P) Ausf. B resemble the VK 72.01(K) a lot. So, we’ll create a very similar tank and make it Tier X on their branch. If you earned the VK 72.01(K) on Global Map, it will remain a Premium vehicle in your Garage. You’ll be able to transfer its crew to another vehicle for free and without training. The VK 72.01(K) will also receive a unique camo and equipment loadout. Following Tech Tree revisions, German heavy tanks will get a few of their combat parameters changed. The nation's medium vehicles will see a number of improvements too. We'll share a full list of balance tweaks soon, so stay tuned. As of now, the Japanese Type 4 and Type 5 HEAVY are rarely seen on battlefields: they are somewhat inferior to their tiers in terms of mobility and can’t return the favor in combat. It won’t stay this way for long, though. As you know, the trademark of tier V–VIII Japanese heavies are HE shells and guns, and we are going to give them to the Type 4 and Type 5 HEAVY as well. Overall gameplay has changed a lot since the T28, T28 Prototype, and T95 rolled out on tiers VIII and IX. They lack mobility in the game of today, and we’re going to give them a considerable speed boost, gearing them up for more dynamic combat. Decreased armor protection of the commander's cupola. Armor protection of the sides, behind the roller wheels, decreased from 254 mm to 76.2 mm. The T110E5 commander’s cupola is near impossible to penetrate with regular shells in all but a small section. We will tweak the cupola armor to make it more even across its surface. It’ll still have robust protection, but a good shot with regular rounds will do the job. Engine power decreased from 900 h.p. to 850 h.p. Maximum reverse speed decreased from 20 km/h to 15 km/h. Reload time of the 15 cm PaK L/63 gun increased from 16.5 s to 18 s.
Gun depression angle decreased from -8° to -7°. Velocity of the Pzgr. shell for the 15 cm PaK L/63 gun decreased from 1,350 m/s to 1,200 m/s. Changes to engine power, reverse speed, and gun depression are designed to make a more pronounced TD out of the Grille 15, while the reduced DPM puts its combat efficiency more on par with same-tier vehicles. UBR-365K (160/126) replaced by UBR-365KBM (180/144). UBR-365P (160/167) replaced by UBR-365PBM (180/194). UOF-365K (280/43) replaced by UOF-365BM (300/44). View range increased from 350 m to 360 m.
Dispersion on hull traverse and on the move decreased from 0.24 m to 0.22 m.
Dispersion decreased from 0.42 m to 0.37 m.
Aiming time decreased from 2.5 s to 2.2 s.
We tweaked the T-34-85M’s penetration power and gun handling parameters to make it more efficient. Following the balance changes, it plays as a less mobile, but better armored version of the Т-34-85. Maximum forward speed increased from 40 km/h to 50 km/h. Reload time of the OQF 20-pdr Gun Type A Barrel for the Centurion Mk. III turret decreased from 8 s to 7.5 s.
Reload time of the 105 mm Royal Ordnance L7A1 for the Centurion Mk. 9 turret decreased from 12 s to 11.2 s.
The two Centurions will gain improved mobility and receive better gun parameters, to cement their place as medium tanks. The FV 4202’s maximum speed will be increased so that it can keep up with the Centurions. We’re continuing to incorporate useful elements from your favorite third-party modifications. This time, the battle UI is getting a detailed "received damage" log. This includes ribbons for the damage amounts, shell type, critical hits, and the name and type of the vehicle that hit you. Conversely, we’ll remove ribbons that aren’t as useful: machinegun fire ribbons and detailed log messages will only display the total amount of damage caused by a series of shots. Finally, 9.17.1 will introduce a new setting for adjusting the width of the dynamic damage indicators, signaling how much damage you receive or block. These additions will make it easier to evaluate ever-changing combat situations and quickly adjust your battle plan. We heard your requests to expand the list of comparable stats, and we're pleased to say this is coming with 9.17.1. Soon, you can examine vehicles' mounted equipment, Crew Skills/Perks, consumables and camo. With over 500 vehicles to choose from, it’s crucial to get the maximum information on each, whether it’s already in your Garage and you want the full rundown on specs, or you’re thinking about researching or purchasing it. In 9.17.1, we’ll build on the simple tech characteristics display to make it more informative. One-time cost equipment that affects combat performance (e.g., Binocular Telescope and Camouflage Net) will display their familiar icons. On top of that, you’ll see how much of a bonus they give you in solid numbers. Also following your requests, we’ll be replacing the "Standard Shell Penetration" and "Standard Shell Damage" ranges with an average number for each, shown in the Garage and Vehicle Preview Mode. If you prefer the current range displays, they will still be shown in a tooltip. Finally, you’ll be given more details when choosing ammo types. The default type will be marked in a tooltip on the shell. And you can see it compared to others, right in the tooltip, which will make it a lot easier to choose the most useful shell for the job. 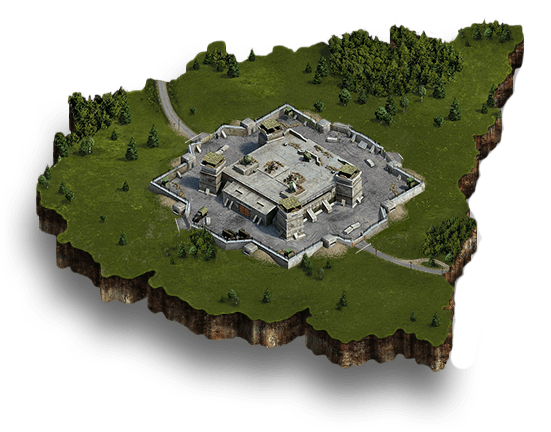 With the removal of pillages and mandatory daily battles, it would have been too easy to reach the top levels of Strongholds development. As a result, War Departments, which are now mainly used by top clans who earned their stripes in combat, would become available to more players. All clans would rush to level up and receive tasks with valuable rewards, which would disrupt the fair play environment. To prevent this from happening, we’ll replace War Departments with challenges, dubbed “War Games,” where clans that participate in Skirmishes and Offensives will compete for rankings in different categories. Those who end up at the top will receive Gold, Advanced Reserves, and other rewards. IMPORTANT: This change will be implemented after the 9.17.1 release. Also, you’ll notice a new option for Skirmishes. When creating a detachment, you can open it for others to join, similar to Team Battles and Tank Companies. Whether you're new and want to try Skirmishes, or fought in a few as a legionnaire or volunteer, just browse through the list of available detachments in a special screen and choose. If you love to go all unconventional with game sounds, it's time to celebrate! Starting in 9.17.1, audio files will be available to modders, while those using third-party voiceovers or sound packs can personalize their experience by tweaking almost every in-game sound. Deeper under the hood, 9.17.1 also marks the transition to Wwise 2016.2. Finally, a new bunch of maps get remastered minimap art: Training Area, Overlord, Stalingrad, Sacred Valley, and Fiery Salient.